July is National Blueberry month and to celebrate I am sharing this mouthwatering Blueberry Cream Cheese Pastries. I thought about several desserts I could make and I decided to go with a Blueberry Cream Cheese Pastry. I love using puff pastry and find it is so easy to use – and it was perfect! Just make a few cuts in your puff pastry to make several squares and in no time you have a delicious pastry to serve for dessert or to enjoy for breakfast. These delicious pastries have a yummy layer of cream cheese, a handful of blueberries and after a quick trip in the oven they are drizzled with a sweet glaze. Yum! I have also used puff pastry in my Apple Pecan Pastry and my Berry Patriotic Shortcake and just LOVE how easy it is to bake with! There are a few items that I love to use when I am baking. Here are the ones I really love and think you should give a try! 1. Cookie Sheet – This cookie sheet is an absolute favorite of mine! It is nonstick and is really good quality for such an affordable price. Because of the nonstick coating cleanup is a breeze! I just love that it is dishwasher safe. 2. Parchment Paper – I personally love to bake my items on parchment paper. I am always in a hurry and anything that can help me is awesome! I love lining my cookie sheets with parchment paper – makes cleanup even easier! Even though my cookie sheets are easy to clean and dishwasher safe I rarely wash them because the parchment paper keeps them clean. I also like using parchment paper because I can easily transfer my cookies by just picking up the parchment paper off the cookie sheet. 3. Timer – A good timer is a must for me! Yes I do have a timer on my microwave and my oven but I am often in my office or outside with the kids so I don’t hear the timers in the kitchen. This timer I can take anywhere with me. It also has a magnet so it can easily store on my fridge. This timer has been through the ringer with me but is still doing great! 4. Cute Spatulas – We all have normal, regular, good spatulas in our kitchen. But do you know what makes baking more exciting? Cute spatulas, dishes, dishtowels, etc.! I just love making my kitchen cute with these! Add a handful of blueberries to the cream cheese and then sprinkle sugar over the pastry squares. Want more? Sign up for the Summer Scraps newsletter and receive recipe and craft ideas delivered to your inbox! Want more Blueberry Recipes? 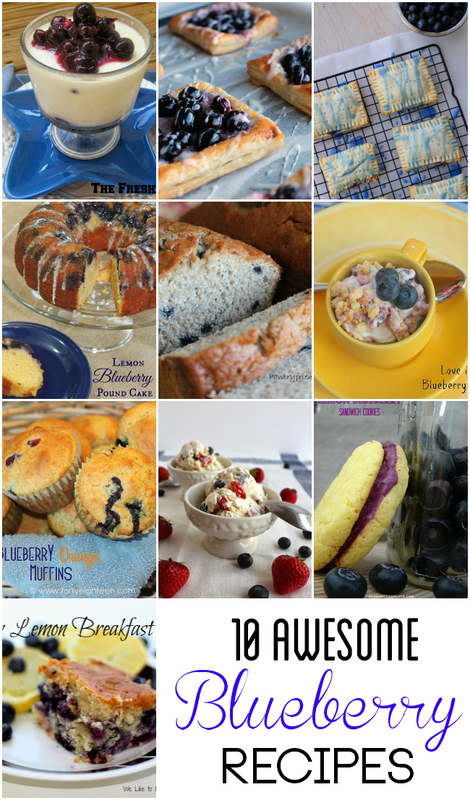 This month I have teamed up with a bunch of other bloggers to share blueberry recipes. Looking for more Pastry Recipes? Check these out! If you really like my Blueberry Cream Cheese Pastry recipe, you will also love the following recipes. I have pulled them together for you right here! For some reason I have been getting traffic from Pinterest for a Sweet Bluberry Layer Cake and I have had some people asking me for the recipe. If you are looking for the recipe for this delicious looking dessert please visit Sally’s Baking Addiction for her Sweet Bluebbery Layer Cake recipe. MMmm! These look delicious! My boys love blueberry muffins so i bet they would love these too! I’m dying over all these amazing blueberry recipes. They all look so yummy, but my mouth is truly watering over yours. These look soooo good! Yum! Can’t wait to make them. Pinned! Alli @ Cupcake Diaries recently posted…Month of Disney Giveaway! Stopping by from Worthwhile Wednesday. Love this idea. Looks simple to do and very tasty! Would love it if you could stop by the Wonderful Wednesday Blog Hop (going on now) and Link up this fabulous post. I think it would be a big hit! What a gorgeous recipe, and the cream cheese and blueberries together are one of my favorites! Great recipe! I went through a crazy, bake EVERYTHING with puff pastry time a few years ago but it’s been a while now. Thanks for the reminder, Summer! That cream cheese filling sounds wonderful! Love this! My hubby is a huge blueberry guy. Will have to make this for sure. These look absolutely delicious! Great job! These sound awesome! I love cream cheese pastries. Just pinned! We are huge fans of blueberries in our home so these are calling our name!! YUM! Mmmm, I think I need to make these for breakfast one day this week; they look absolutely delicious. Thanks so much for sharing at Inspire Me Wednesday. Featuring you in this week’s issue. These seriously look SO good. I want one so badly right now!!! OMGosh those look AMAZING. Blueberries are my Husband’s fave – so making these! Pinned! This looks just divine! I’m going to give it a try! Thanks for sharing!! Your pastries look beautiful and so so delicious! They look like they came from a bakery! I love puff pastry, it’s amazing how many delicious treats you can bake up with it! These sound so good! Mouthwatering!! What a simple recipe for something that looks so amazing! Can’t wait to try it!! Summer those pastries look amazing! Yummm! Thank you for sharing. PINNED! These look amazing!! I must make these! Thanks for sharing on the Monday Funday Party! Is it normal for someone’s mouth to just completely water when reading this post? LOVE! 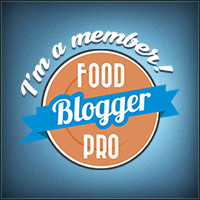 Thank you for sharing this post on Found & Foraged! Looks yummy Summer! Just stopping by to say hi and grab your recipe. Oh my goodness these look delicious! Definitely trying them soon. Oh my, these look delicious! So do all of the other photos. I am now craving blueberries and it is still winter! 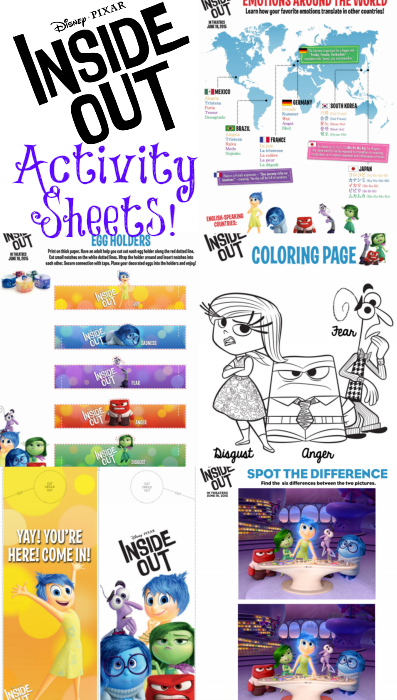 Thanks for linking this to the This Is How We Roll Link Party! I can’t wait to see what you bring next week! I like this idea so much more than the Toaster Strudels my kids are always begging me for. Thank you for linking up the recipe at the This Is How We Roll Thursday party. Hi Summer, Just stopping over to let you know I’m featuring your scrumptious pastries on Found & Foraged tonight! I enjoyed reading this post! 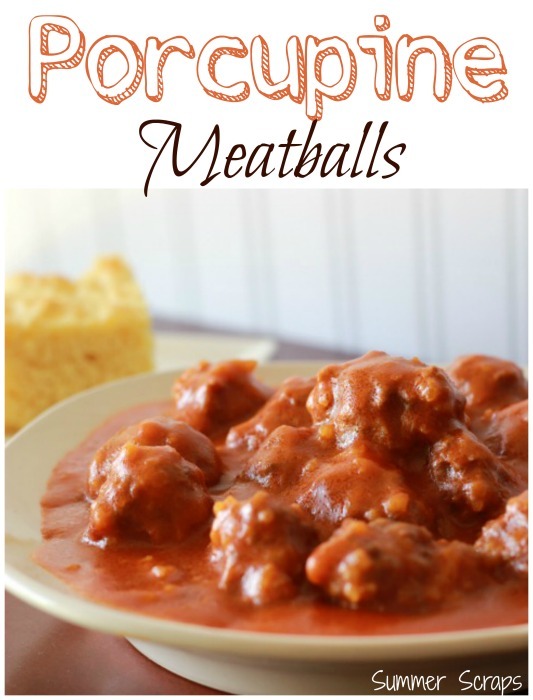 These look amazing, and I’m pinning! Thanks for sharing at Wordless Wednesday. Don’t forget to stop by again this week!